Akron (5 of 25) to pull away. I believe the Huskies trailed at halftime by 1 or 2 but soon after half the win was in the bag. German lead scoring with 27. Keeping track of our friends down in Champaign and Normal they are ranked 126 and 204 respectively. Bulls down 5 @ Kent midway through 2nd half. Wouldn't that be our luck to have Buffalo lose this. A Buffalo loss tonight would’ve been just fine for NIU. (01-25-2019 10:13 PM)dc1 Wrote: A Buffalo loss tonight would’ve been just fine for NIU. I thought about that too, but in the end to me, it's such a lottery chance NiU would have kept up with Buffalo that I think its best Buffalo hands out as many losses as possible. NIU can use that Buffalo win as tiebreak with teams they split with also. Agreed, I would rather Buffalo win out in the reg season to ensure they get an at large bid, then if they get upset in the tourney, 2 teams in from the MAC would be fun. NIU shooting well to start. A rather massive difference in how this game is being called from a foul perspective compared to the Buffalo game. NIU leads by 4 at half. They played a very good first 15, and a crap last 5, couldn't find a basket for quite a while. 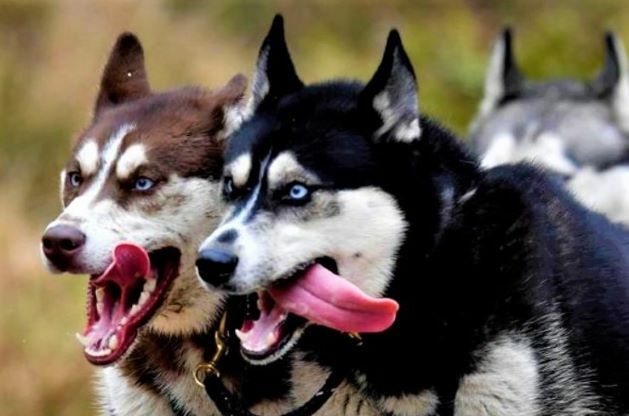 (01-26-2019 05:48 PM)17Huskies Wrote: NIU leads by 4 at half. They played a very good first 15, and a crap last 5, couldn't find a basket for quite a while. Thank god the FG streak got busted to end the half. Ugly 2nd half of the 1st half. NIU looks like they have never played offense before. Monty figure it out. Definitely. That is an offensive cliff we have not seen for awhile, yikes. Fought very hard to the end but came up short ... bummer. gross game, just a gross feeling, other than the run at the end. After watching both Akron games...NIU is clearly the better team, but man they just disappeared for the 20 minutes in each game. You can't do that on the road. German did some crazy things in the last 4 min, but he also walked the ball down the court with 20 seconds left and then lost it on the dribble...Bradley and James were MIA for much of the game. Just a sad showing after the excitement of Tuesday. This loss means NIU has to sweep the 3 game homestand. If they pulled this one out, I think they could have afforded to take 2 of 3 at home. German is not getting drafted he will be back at NIU. He is extremely week when dribbling in any kind of traffic. His 3pt shot has improved but I don’t believe he can finish like he was last year.